Tivoli Audio teams up with BBC Children in Need to run design competition | What Hi-Fi? 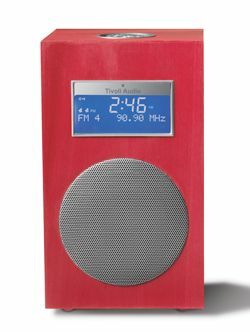 Entrants are being invited to design a 'skin' or outer cover for the Tivoli Audio Model 10+ DAB/FM table top radio. The winning design will be put into production and go on sale in autumn 2012 for a limited period, with profits going to BBC Children in Need. To receive a full design brief and the Terms & Conditions, entrants should email today@bbc.co.uk quoting 'Radio Design' in the subject line. Tom DeVesto, Tivoli Audio CEO and founder, says: "It's a thrill to work with BBC Children in Need on the project. Design has always, and will always, play a massive part in Tivoli Audio products, and I'm hoping to be blown away by the design ideas of the competition entrants."